National Center for American Indian Enterprise Development honored Glenna Stumblingbear-Riddle, Ph.D., as a member of the Native American 40 Under Forty class of 2017. She joined community-nominated winners who were celebrated during a September NCAIED gala at the Tulalip Resort Casino in Tulalip, Washington. 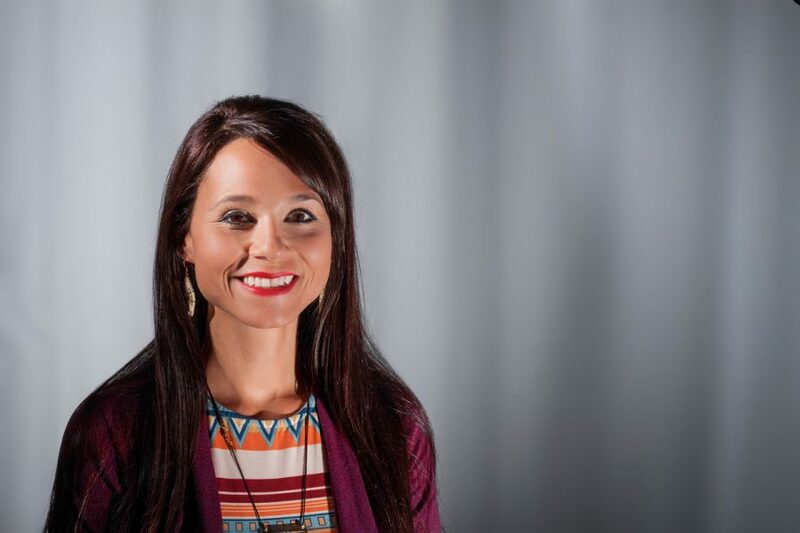 Dr. Stumblingbear-Riddle is a licensed health service psychologist, director of behavioral health, Native Connections clinical director and outreach program coordinator for Citizen Potawatomi Nation’s Behavioral Health Services. Honorees demonstrate strong leadership, commitment and initiative and devote significant skills and resources to enhancing their communities. Stumblingbear-Riddle works daily to prevent suicide, treat substance use disorders, address trauma and promote emotional and mental well-being. One of her goals is to reduce health disparities in tribal communities. “The need is really high,” she explained. Federal grants help facilitate community-driven programs and events in which she and her colleagues offer outreach and education while learning more about what community members want. The feedback influences program and service development and availability. Citizen Potawatomi Nation’s Behavioral Health services include assessments and evaluations; ongoing treatment; therapeutic interventions; individual, couples, family and group therapy; smoking cessation classes; medication management; and psychotherapy. Clients may be self- or doctor-referred. The department also utilizes programs specific to youth and families to prevent suicide and substance use disorders funded by grants. “The main goal I hope this award helps me achieve is to continue to increase our resources so we can continue to make a big, positive impact in our community by being able to offer more services and to continue to reduce the stigma associated with behavioral health,” she said. “When people read about the quality services offered and more people talk about seeking help, it makes it easier for people to come through the door and get help when they need it. Earlier this year, she was appointed to the Oklahoma State Board of Mental Health and Substance Abuse Services. She’s also been CPN’s Behavioral Health director since 2013. Her Kiowa name is Khoiye hayn ee, or Kiowa doll, given to her as a child. “It was meant for me; that is what my grandmother and the Kiowa elder who named me would say,” she said. “In everything I do, I try to do humbly, with grace and respect. I represent my tribe — the Kiowa people. Everything I do I do with the Creator, my ancestors, family, tribe, and community and Citizen Potawatomi Nation in mind. I look at the big picture and work to best serve Indian Country and all of Oklahoma. Stumblingbear-Riddle encourages everyone to seek help when needed. Learn more about Citizen Potawatomi Nation’s Behavioral Health Services by visiting potawatomi.org/services/health/behavioral-health or calling 405-214-5101.